whoever says this tiger is ugly can go to hell! this tiger is beautiful and looks at ease. i'm surprised because they are always in some sort of danger so its surprising to get a picture likes this! this picture captures the actual lifestyle of a white bengal tiger and it is so amazing. i applaud the photographer! The photography absoloutly captured the life of wildlife. The picture is beautiful and looks so alive. This photo is soooooooooo cool and peaceful! 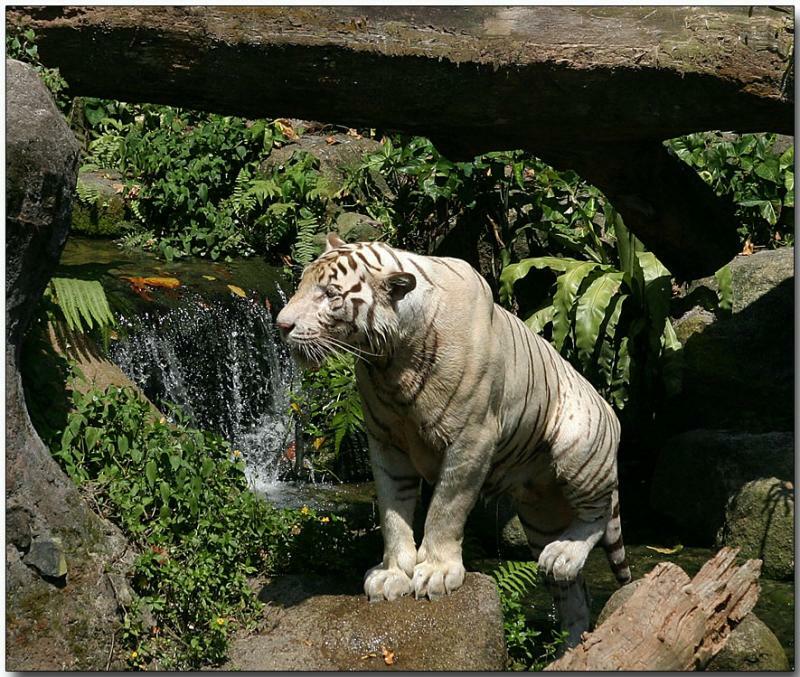 It shows the majestic White Bengal Tiger in a BEAUTIFUL habitat! I LOVE THIS PHOTO! Five stars! Two thumbs up! However you want to put it, it is AWSOME!